Crave chocolate? Me too! But what if you’re eating low carb or gluten free? Here’s the recipe for you. PLUS it has heart healthy avocado in it (don’t worry you can’t taste it and the pudding is not green). Get good avocados. At my mega-mart, the avocados are usually rock hard or light and dented (rotten flesh inside the thick skin). If this is the case where you are too, get the hard ones and watch them for a few days until the skin gives a bit under the pressure of your thumb (but doesn’t stay dented in – that’s too far). 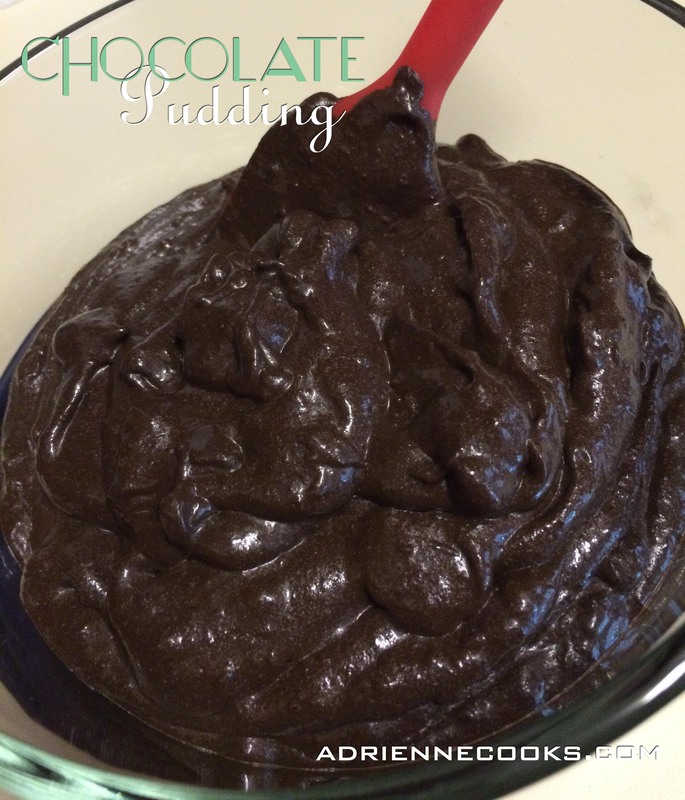 So here we go: healthy, yummy, low-carb, and gluten free chocolate pudding. Combine all ingredients in stand mixer with the whisk attachement or even better, a blender! Puree/mix until smooth. Adjust sweetness as necessary. Blend/mix until you get the consistency you want for the pudding. The pudding will thicken a bit in the fridge due to the coconut oil. That’s it. Now eat! You can make this mousse by adding whipped cream (beat heavy cream until you have stiff peaks and fold in) or just add a dollop on top. Avocado in Chocolate Pudding? Awesome idea! Ooh this looks and sounds amazing! 🙂 Love chocolate pudding of all kinds! Avocado and pudding in the same sentence?! I will have to try this one day.